First time in Belgrade? Here are some most valuable tips! Columns • 09. October 2018. 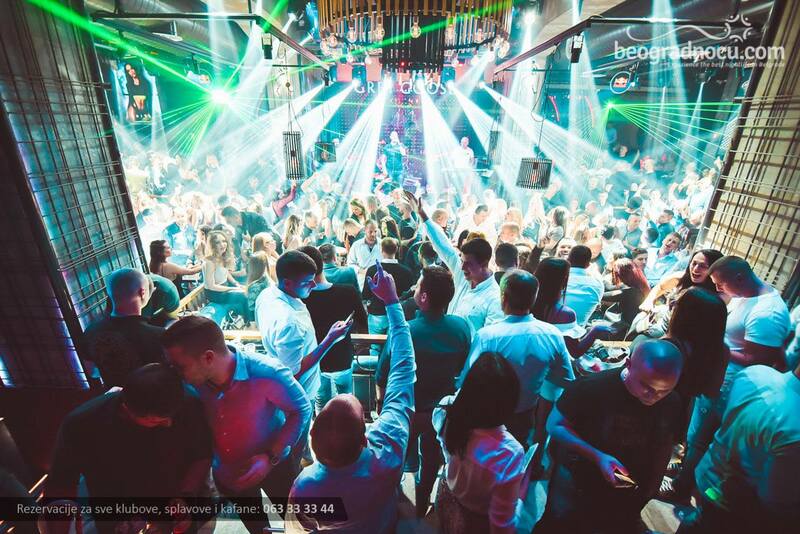 Experience Belgrade nightlife to the max and more! Coming to Belgrade is an adventure. Not only that you are coming to the European capital of clubbing and great food, you are also about to experience the friendliest environment and some of the greatest mixes of traditional and modern you can find today. Belgrade nightlife and cuisine are there for you to grasp fully, and this article is here to help you use your time in the best and most efficiant way, as well as to inspire you to come and find out for yourself. Why is Belgrade so special? A theory suggests that the ancient name Singidunum actually means— "White Fort, Castle or Town". The first mention of Belgrade dates from 16 April 878 and a letter written by Pope John VIII to Boris I Mihail, when the city was held by the Bulgarian Kingdom. The contemporary name of Belgrade derives from the Slavic words "bel" (i.e. "white") and "grad" (i.e. "town"-"city" or "castle"-"fort"). Historically, Slavs name a place of living "grad" or "gorod" only if it has some protective walls – "ograda" in Slavic. The history of Belgrade dates back to at least 7000 BC. One of the largest prehistoric cultures of Europe, the Vinča culture, evolved from the Belgrade area in the 6th millennium BC. The Thraco-Dacians, the Celts, the Romans reigned in the area before it wasthe Slavs had settled here in the 520s. In 1521, Belgrade was conquered by the Ottoman Empire. It was also under the Habsburg rule. Belgrade was again named the capital of Serbia in 1841. The north of Belgrade remained an Habsburg outpost until 1918, when it was merged into the capital city. As a strategic location, the city was battled over in 115 wars and destroyed to its ground 44 times. Belgrade was the capital of Yugoslavia (in various forms of governments) from its creation in 1918, to its final dissolution in 2006. The energy as a result is a mix of various influences and brings about a specific combination visible everywhere-in its architecture, cuisine, traditions and culture. First of all, Belgrade has two major clubbing seasons divided into winter and summer one. Indoor clubs are numerous and spread across the city. They are usually open from late September until early May. They usually close during the summer season. This makes sense since Belgrade nightlife moves towards the rivers, fresh outdoor air and unforgettable experience of floating river clubs called “splavs” (splavovi). These are mostly located near the centre, but also alongside river banks. This is where you want to go for the best parties in this part of the world. Reservations are a must, since there are a lot of groups visiting and locals being regulars. Even though there are a lot of clubs to choose from, you don’t want to experience the unpleasant event of being turned down at the door and not being able to come into the club. In order to be on a guest list contact our booking and reservation making service which is FREE of charge OR Call our Booking Call Center 063 33 33 44 or 063 34 34 33 and make your reservation on time, because without reservation, there is no guarantee that you will enter the club. Club bouncers are also ruthless when it comes to guests arriving drunk or making a fuss. Be polite and respectful. Remember-class is the key. All the clubs in Belgrade have a normal, fancier than casual dress code as well. Belgrade is a capital city, and this means the elegance and style is more urban and flashy. Of course there is a difference between visiting a kafana and a splav. Still, ladies especially shine in all their glory, and so should men. Wear something classy, but not stiff, and treat yourself to a once in a lifetime celebration right within your reach. There are no specific entrance fees for mainstream clubs unless there is a special concert or a guest star at the venue which you can check in advance via our website. Alternative and after party clubs do not require any reservations. Sometimes however they charge several Euros for entry fee, and all the clubs charge for cloakrooms. It is around 1,5 Euros per jacket during the winter season. Tipping the waiters is not mandatory, but has recently become more standard than it used to be. Normally, it should be 10% of the overall bill you make in the club, so have that in mind when you are deciding on the amount. The first thing you will do for sure is to roam around and discover the Kalemegdan fortress featuring some of Belgrade’s top landmarks. Strolling around, give yourself some time to explore the downtown: Knez Mihailova Street, the Orthodox cathedral, Kosančićev Venac and Dorćol neighborhoods in example. Once you are settled in, especially during the summer, your next stop might be to spend an active day at Ada Ciganlija. You can go about swimming, water skiing, bungee jumping, visiting beach style clubs and just chillaxing. 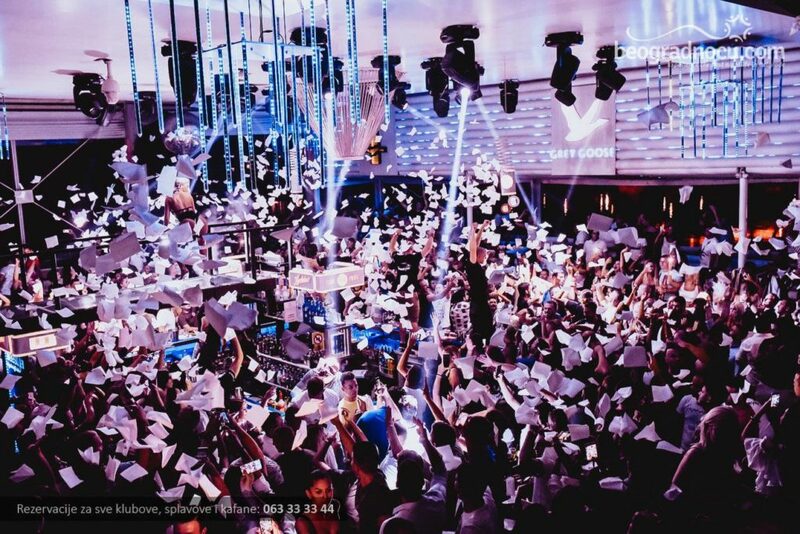 Of course, using our tips, you will be prepared to enjoy the nightlife at some of the most famous splavs – floating clubs such as Freestyler, Shake'n'Shake, Lasta, and many other you can discover on our website Beogradnocu.com . Just be prepared and book in advance. Try some traditional food and cuisine in an authentic style in Skadarlija. Try ćevapčići (grilled minced meat), sarma, pljeskavica, or any other grilled and cooked specialties. Tri Šešira, Dva Jelena and Zlatni Bokal are the names of the most popular restaurants there. Take the circular tram no 2 for a ride around the city center. There is a stop at the end of Knez Mihailova at Kalemegdan, or another one in the port or below Branko's bridge. Just don’t be surprised with the smell. There are also many organized tours across town, so you can get to know Belgrade riding on bike, bus, segway or even from the air via organized panoramic sightseeing tours. Be sure to explore Zeleni Venac market or any other green markets. There are also organized night markets where young artists and traditional craftsmen present their work. Go to the top of Ušće tower for spectacular views of the entire city and surrounding areas. Or visit Rajiceva shopping centre and terraces such as Mama Shelter or City Garden for the opposite side view. Visit The Republic Square, Nikola Pašić Square with the National Parliament and the Old and New Royal Palaces. Take a photo. Be a tourist. Shop. Get lunch. Start getting ready for Belgrade nightlife. Explore Belgrade museums to learn a bit more about the local culture, history and tradition. You can visit Ethnographic museum, Military History Museum, The National Museum, The Museum of Contemporary Art, the SANU gallery and the Gallery of Frescoes.